We can also understand from the following sentences in the previous verse, “…in a deep sea. It is covered by waves, above which are waves, above which are clouds….”, that the deep waters of seas and oceans are covered by waves, and above these waves are other waves. 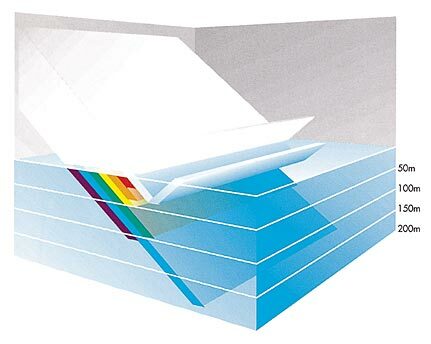 It is clear that the second set of waves are the surface waves that we see, because the verse mentions that above the second waves there are clouds. But what about the first waves? 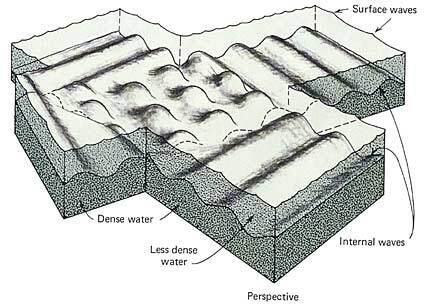 Scientists have recently discovered that there are internal waves which “occur on density interfaces between layers of different densities.”2 (see figure 16). SubhanAllah. Thanks for posting this. Previous Previous post: Friendship Between Muslims and Other Religions?